We are fans of upscale buffets, not to overindulge in excess, but to have fun sampling a large cross section of fine foods. Our last trip in 2011 brought us to stellar Harbourside in the Intercontinental Hong Kong. 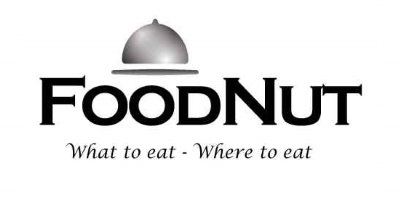 The Conrad Buffet in Hong Kong has renamed our favorite buffet in the world. Would the Ritz one up them? Decor, Vibe – Ritz Carlton Singapore is an elegant room with a nice view of the garden. A tall ceiling made for a large airy room. The restaurant was full with business folks, hotel guests, families, older set, and other well heeled people. You needed to have reservations to get in, we heard several people begging to attend this feast. Ritz Carlton, Singapore Sunday Brunch costs SG$168 (US$132) with a children at SG$84. Wow, this is the most expensive buffet we’ve ever been to. There is no option to omit alcohol, no big deal as we were not driving. Unlimited Moet Chandon Champagne (two types), wine, and cocktails. We skipped breakfast and dinner that day! The food here crosses Asian and Western boundaries. Cocktails included made to order: Caipirinha, Caiprioska, Fruity Caipirinha or Caiprioska, Mojito, Bloody Mary. High quality deli meats or charcuterie, jamon freshly cut off the hoof. Seafood: Six different kinds of oysters (Canadian, Australian, St. Michael), clams, scallops in their shell, tons of Huge prawns, King crab claws, lobsters. Marinated sea food options, shrimp, octopus, seaweed, etc. Seared foie gras was cooked while you wait. Quality was decent, not exceptional. This is banned in California, so we ate a ton here. Lots of prepared hot foods including seafood, Chinese foods, vegetables (eggplant, beans, asparagus, sauteed mushrooms, roast corn, Sauteed Zucchini), fried rice, lobster bisque and Oriental crab soups, cooked prawns, scallops, pork, Cornish hen, lobster and a lot more. Truffle mash potatoes, chutneys. Chinese style whole deep fried groupa fish. Carved to order suckling pig, Roast Duck and Chicken. Beautiful Sushi and four kinds of freshly cut Sashimi made with very fresh ingredients. Carving Station: Huge Australian beef roast was only ok. The lamb was very good. Bread, Rolls, Croissants and Pastries, station did not get much play with all the other goodies. These were all quality homemade baked goods. Pasta station served quality custom made to order pastas and sauces. Real parmesan cheese. Not as good as Conrad’s in Hong Kong. They also had a Japanese udon Noodle station. Outrageous Cheese cart with many fine cheeses from around the world. Lots of fruit and bread to go with it. Dessert puddings, cakes, creme brulee, gelatins, chocolates, and more. Fresh fruit from the region. Custom dessert crepes with lots of toppings. Five kinds of premium ice cream along with many toppings including tons of candy. Two Chocolate fountains with a wide variety of dipping instruments. Ferme des peupliers French Yogurt. Five kinds of fresh juices, coffee, and tea were included. Interestingly, there was no dim sum. Service – Ritz Carlton Singapore Brunch Buffet had very good service that could have been better. We had to wait a fair amount of time to have plates changed or taken. Not a lot of servers although our champagne glass was almost always full! Value – At US$132, Ritz Carlton Singapore Brunch is not cheap, but offers maximum value in its wide variety, unlimited liquor, and high quality food. This goes way above and beyond Vegas buffets like the Wynn, and surpasses the Ritz Carlton Navio brunch and at a lower price. Alternatives – Nearby buffet include The Line at the Shangri La or Rise at the Marina Bay Sands. Verdict – Ritz Carlton Singapore Brunch Buffet lives up to its billing as an excellent buffet, the best we have dined at so far. When in Singapore, give it a try, we do not this type level of buffet exists in the USA. Almost everyone we saw was so full, they ended up with food comas and possibly a hangover.